He was a painter, sculptor, printmaker and ceramist. He was considered one of the greatest representatives of Surrealism Abstract. 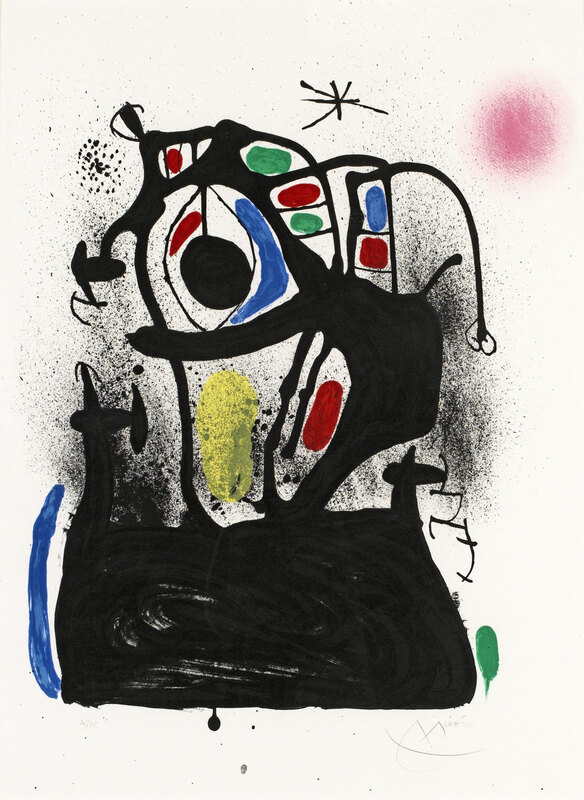 Miró managed to create a very particular pictorial universe full of symbolism. At first he was influenced by Fauves, Cubists and Expressionists, but from his stay in Paris in 1919, becomes more Oneiric. There, he met Picasso, and receives great influences of Paul Klee in the late 20s. In 1928 the Museum of Modern Art in New York acquired two of his works. It is the first international recognition. The Spanish Civil War in his work emphasized the dichotomy between violent emotions and dreamy evasion. In the 40 highlights his time as an engraver, the engravings of the Barcelona series 1944. Through the later years he continued his career as a ceramist and making great murals such as the Unesco in Paris, Harvard University or Barcelona Airport. In 1975, the Miró Foundation is inaugurated in Barcelona. Other places where you can see his work is in the Miro Foundation in Palma, in the Reina Sofia Museum, the Thyssen – Bornemisza Museum, the Georges Pompidou Centre in Paris and the MOMA in New York. Highlights include exhibitions in the National Museum of Modern Art in Paris 1962-1978, the retrospective at the MOMA in NY 1941, at the Tate Gallery in London 1964, in the Grand Palais in Paris 1974, and at the Tate Modern in London 2011, etc. He received in 1954 the Prize of Engraving by the Venice Biennale and the Gold Medal for Merit in Fine Arts in Barcelona in 1980. He was a prolific artist with a great international recognition.